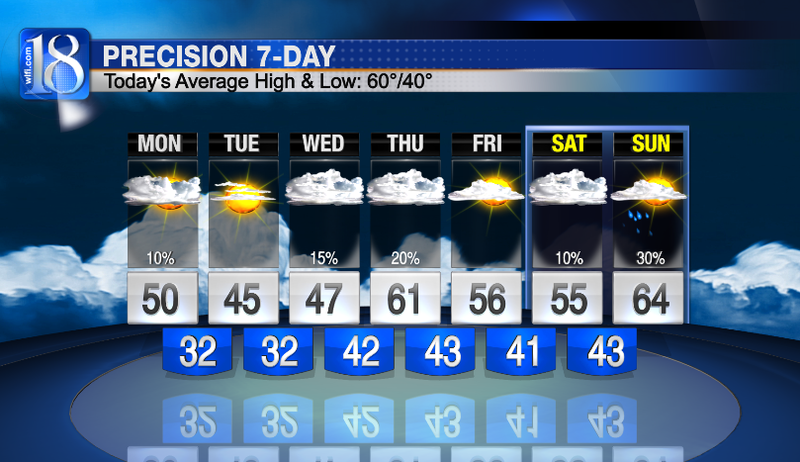 After a chilly weekend we will get a little relief from those cold temperatures over the next few days. Tomorrow we will come close to the 50° mark. 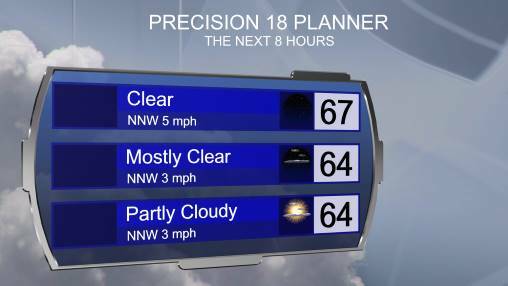 Expect mostly cloudy skies, though, and windy conditions. 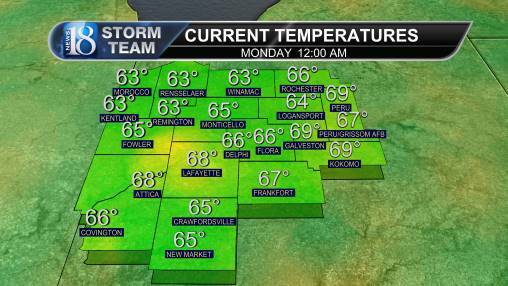 Everyone will be about 10 degrees below the average of 60°. Temps stay cool for the first few days, but we will reach the 60s by the time we get to 60 with chances for rain Wednesday and Thursday night.